While it’s understandable that no architect expects their creation to go up in flames, failure to incorporate sufficient fire protection for a building’s occupants will only lead to a tragic scenario. Exit routes and defence mechanisms (such as sprinklers) that reflect the design of the building are paramount to keeping the people inside safe in the event of an emergency. 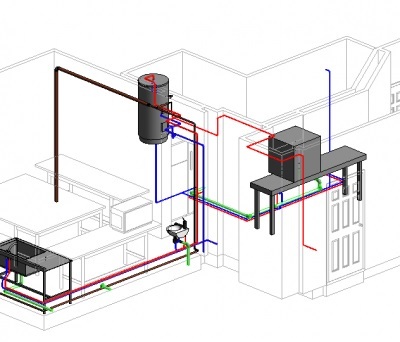 Retrofitting certain measures is a very viable option for existing buildings, but for new construction projects, using Building Information Modelling (BIM) to incorporate safety features from the start can save time, money and, more importantly, lives. Properly planned fire safety measures take into account the size, layout, typical occupancy and use of a structure. The unique combination of these features should dictate the most effective measures for minimising human risk, which will, in turn, allow for the longest possible time in which occupants can remain safe before the emergency services can reach the scene. The key requirements are to incorporate obvious, high-capacity escape routes and methods of limiting the size and spread of flames so that people can exit quickly and safely while the integrity of the building remains intact. BIM will make spatial co-ordination with engineers and designs simple, helping you to understand the most efficient distribution of fire defences to ensure maximum safety and cost-effectiveness. Not only can BIM assist in planning the locations of sprinkler networks, fire alarm control panels, smoke detectors and emergency doors, but can bring together knowledge of how real fires behave, and how real buildings react. BIM facilitates collaboration and communication between many different parties, such as contractors, engineers, service providers, building managers and site inspectors. All along the supply chain, using BIM can make for clearer handovers, and help stakeholders understand how the different aspects of a building interact, and show how they work in one place. 3D models are being accepted across every industry, and as their prevalence increases, more pressure is being put on the firms and trades that are not using some form of BIM software in their work. As an example, all central government projects in the UK must demonstrate the use of Level 2 BIM in their planning, bringing greater prominence to suppliers that are BIM compliant. As well as managing the spatial planning of your building, BIM will help you align the budgeting and cost-estimating; reducing speculation and keeping estimates tight throughout the project. This facility, known as BIM 5D, can factor in elements such as assembly processes or unit costs to estimate the current and expected cost of a project, while being updated in real-time as more data is inputted. Models can be updated from any locations around the world, from an office or onsite. This allows new information to be added to the model immediately, ensuring that the most accurate data is available at all times, improving transparency and collaboration. All information can be easily passed from designers to installers, to building managers and inspectors, without any loss of data or knowledge. It can help with insurance purposes, valuations and much more. Fire safety is an ongoing requirement, and once construction is complete, responsibility for the premises is passed to the operator of the building, according to the Regulatory Reform (Fire Safety) Order 2005. Whether they are the owner, employer, manager or equivalent, they must routinely arrange a detailed fire risk assessment of the building, including risks and hazards as well identifying safe exits and procedures. 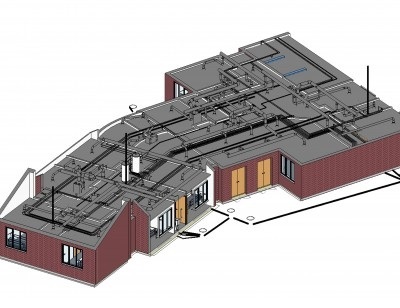 A 3D model provides an intuitive place to store this data and can be referred to if and when the information is passed to new management or fire services. A qualified fire official may be consulted to provide a professional assessment of the risks, in which case they may also refer to, and update engineering information. Past generations have not felt the pressure to incorporate fire-safety into building design as keenly as we do; and unfortunately, the results can be tragic. BIM provides a tool to deliver a reliable and cost-effective project, managing stakeholder expectations and fostering collaboration for a more-informed, safer world.